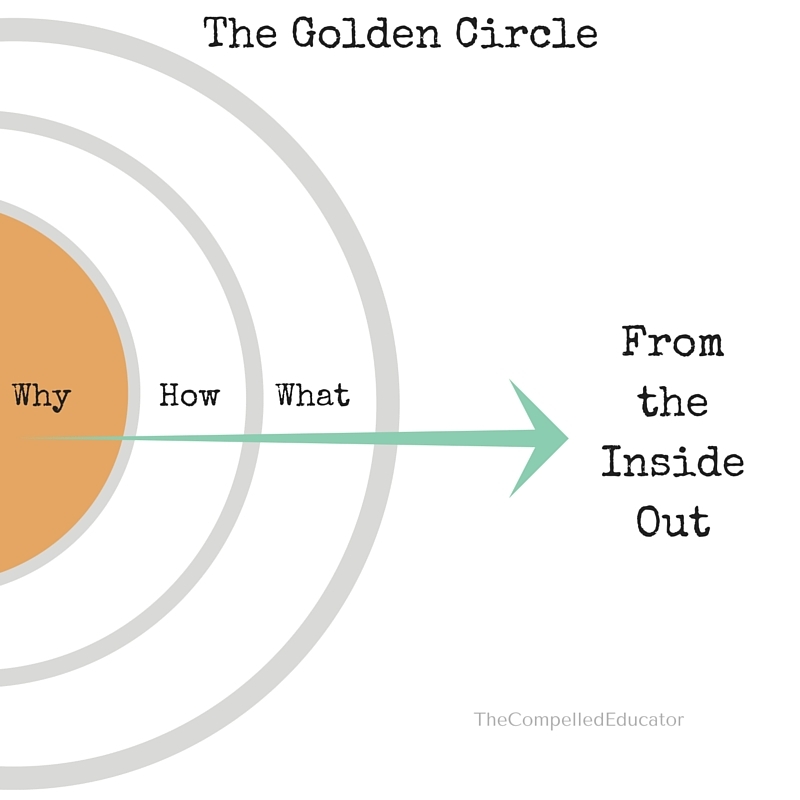 The Compelled Educator: Do You Know Your Why? Simon Sinek set out to find out why companies like Apple were highly successful while others with the same resources were not. His philosophy is based on an idea called "Start with Why." His philosophy applies to business, marketers, and other organizations. I propose that we apply it to school systems, schools, and educators. The What - Organizations know exactly what they do. It should be what an organization (or educator) does to fulfill the "Why." The How - This is how the organization (or educator) does the what. It's how organizations and educators are different from each other. These are the tools and procedures by which we operate. 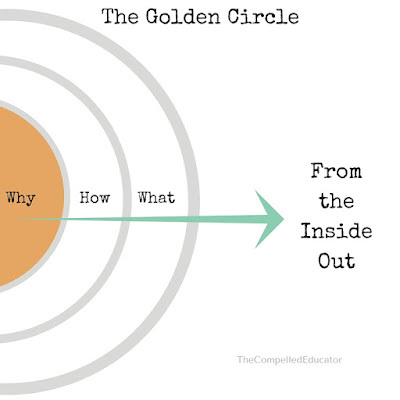 The Why - This is the driving passion and core belief of the organization (or educator). But the inspired leaders and the inspired organizations --regardless of their size, regardless of their industry -- all think, act and communicate from the inside out. What is my Why? I want to be the adult that I needed when I was a kid. I also want to ensure that every student has an adult that is his/her "go-to" person. 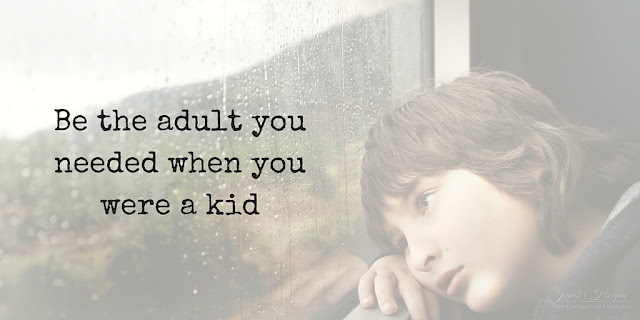 I believe it's important that kids have an adult they can talk to about their fears, mistakes, questions, and ideas without judgment or shame. So, I ask you... Do you know your Why? I loved the video and we have discussed it as an administrative team at my district. Education is a calling and those that are successful must know their "Why". It was an educator who inspired me as a child and I hope I inspire the children (and adults) I work with each day. Thanks for sharing!